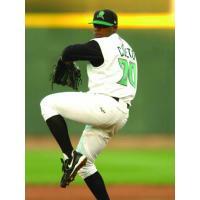 Dayton, Ohio - The Dayton Dragons today announced the next name on their list of "20 Greatest Dragons." The player recognition is part of the organization's 20th Season Celebration. Players selected on the list of 20 are being announced in random order leading up to the Dragons 20th Opening Night game on Thursday, April 4 against the Bowling Green Hot Rods.